The 60-plus-mile Centennial Trail is a destination for bikers, runners, and more. The Spokane River Centennial Trail and the North Idaho Centennial Trail together boast about 61.5 miles of paved, outdoorsy goodness for non-motorized wheelers and runners of all shapes and sizes to explore and enjoy — as of now. On Monday, August 15, however, the trail's total traversable terrain will expand with the official opening of a new two-mile stretch running from Sontag Community Park to the Nine Mile Recreation Area in Riverside State Park. The Washington State Parks and Recreation Commission will host a ribbon-cutting ceremony at Nine Mile Recreation Area on Monday at 4 pm to mark the occasion, featuring a presentation by park officials and an opportunity for those present to be among the first to set foot on the brand new section of trail. Established in 1989, the Centennial Trail, named for the Washington State Centennial its opening coincided with, has long been serving as an accessible, multi-use recreation destination for citizens of the Spokane area and North Idaho, and represents an important, literal connection between the two areas. When the trail's pavement expands, its purpose as a means of connectedness will as well; the new stretch readily welcomes residents of some northeastern Washington pockets into the Centennial Trail community. 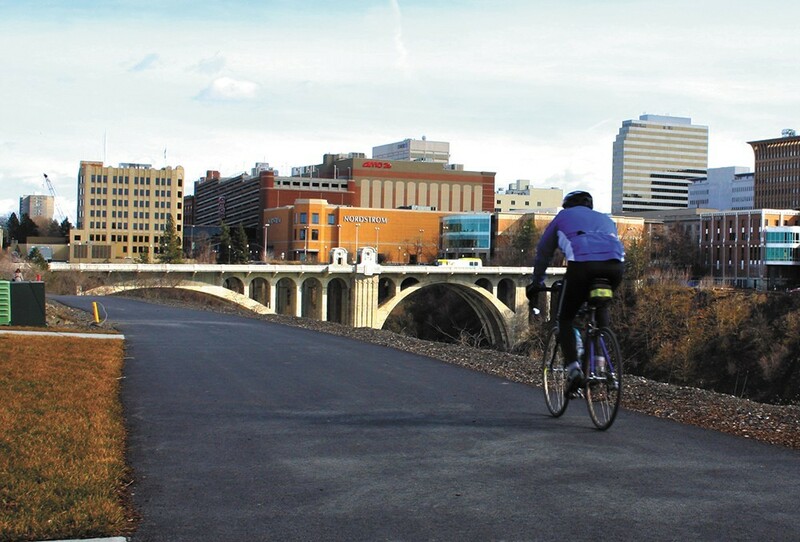 This isn't the first time the trail has seen its mileage increase; in 2013, a gap between downtown Spokane and the West Central neighborhood was filled in, granting Kendall Yards its now-beloved stretch of paved trail. Having already shown to have no qualms with crossing state lines, with time, the Centennial Trail could prove to know no bounds.